Using Rhino and Grasshopper, attendees will delve into computational and parametric methods to create data-driven art installations, physically manifested into a space through hands-on fabrication and assembly. 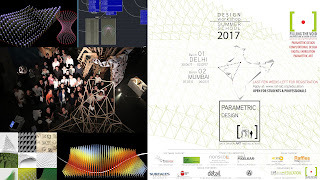 The experimental studio will run in two cities in India (New Delhi and Mumbai) and investigate the agenda of ‘filling the void’ at the art installation scale, through the use of computation and parametric methods. Studio is designed as a 3-day event in both cities comprising technical tutorials, teaching sessions, prototyping, and presentations culminating in a symposium / round-table conference / open discussion with leading / emerging professionals that demonstrate computation, parametric design or alternative techniques in their work, practice, or academia. rat[LAB] EDUCATION is an initiative by rat[LAB]-Research in architecture and technology (www.rat-lab.org) to start a new discourse in architecture and parallel design disciplines with the use of computational design and its various subsets. Spread across various cities and countries, we are establishing a global dialog in the domain of computational design by actively organizing and participating in workshops, lectures, presentations, and symposia. 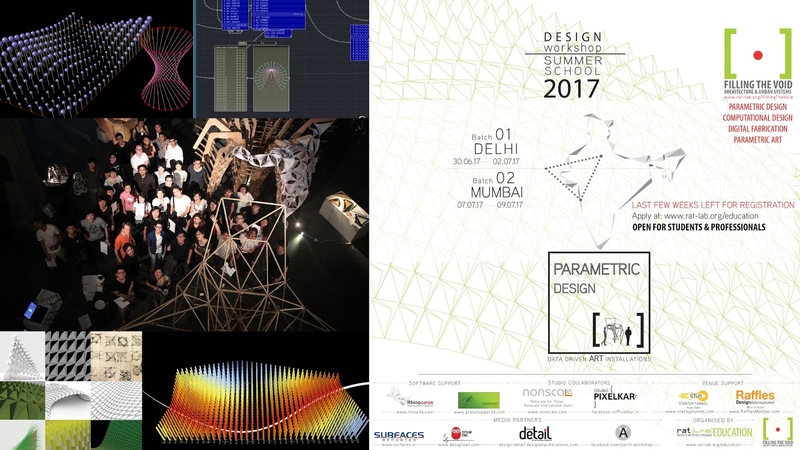 While rat[LAB] has taken a top-down approach of exploring computational design through industry, a parallel, bottom-up approach is also in-line to involve students of all levels from design and related backgrounds.